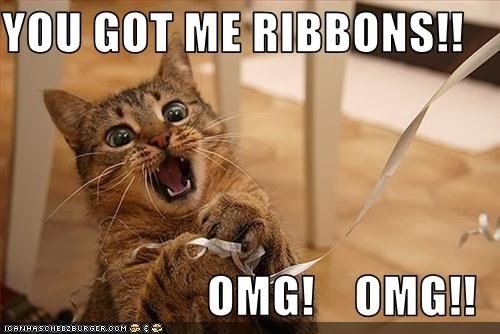 I know it's been awhile since I posted a list of "favorite" ribbon suppliers. I feel the need to "update" the list a little :) Some of the suppliers I mentioned before (in a very old video) are not in the business, some I have not purchased from in quite awhile and some have just fallen off of my "favorites" spot. Ribbon Queen- I have been ordering ribbon from Wendy ever since she opened (11 years ago! WOW, Time does fly when you're having fun!) She is awesome to work with, has a nice selection of solids as well as prints, prices are great and she ships SUPER fast. All About Ribbon (another Wendy! )- Another great ribbon supplier to work with that ships fast! I love the swirl ribbon she offers and she always has great sales going on. oh my goodness boutique is terrible. i placed an order once and after 3 weeks of waiting and waiting i finally had to order elsewhere. The owner was rude to me when i asked why it was taking so long. i would never try to use them again. What a horrible thing to say about her. I've messaged her my order plenty of times. She gets busy as does everyone. She even tells you if she hasn't responded to please bump your message. I'm sorry Ms. Anonymous that you felt like she was ignoring you but chances are she was just super busy. Nancy, from Oh My Goodness Boutique CAN be rude sometimes.She puts down other small businesses that aren't succeeding like "she is" and talks about people going into her shop and buying hundreds of dollars worth of ribbon instead of paying their bills before getting disconnected. Brags about spending $2000-$6000 "a week" on ribbon,talks (actually puts down) about a customer asking for "mommy's girl" ribbon instead of all the "daddy's girl" ribbon because this mom is a single mom and dad isn't around (that is so not right for her to talk about a customer like that), she brags about getting a mercedes, the list goes on and on. That doesn't sound very professional to me. I have seen a lot of complaints about Oh My goodness Boutique as well. Invoices taking days to weeks, orders taking forever to ship, not replying to customers not to mention the shop sells mostly copyright infringed items. Their "licensed" ribbons are illegally purchased in china and they carry copies of US designer ribbons. You get what you pay for.